Any Thomas the Tank Engine fans out there? 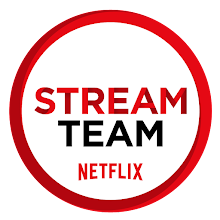 I've got just the experience for you! 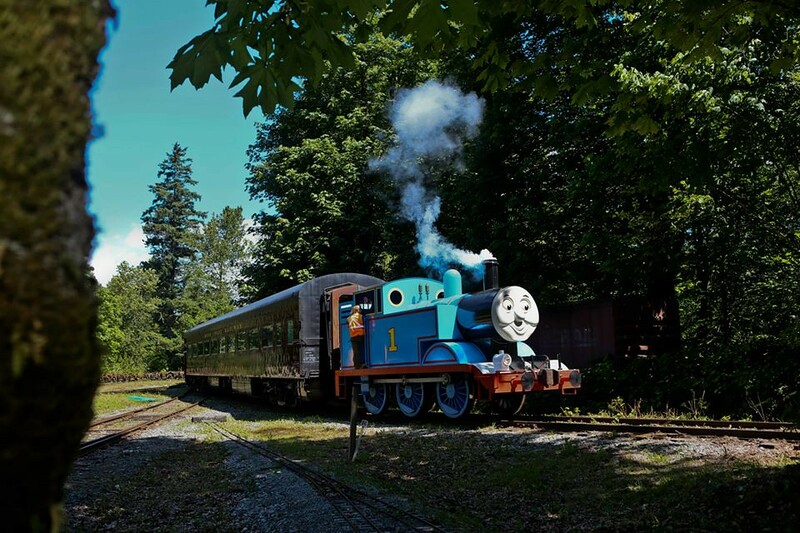 A Day out with Thomas – the Friendship Tour 2017 is at the West Coast Railway Heritage Park in Squamish from Saturday May 20th until Monday May 22nd, 2017. 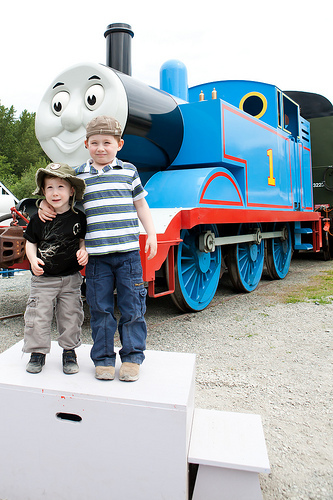 In 2011, when our boys were four and two years of age, we took them to experience a Day with Thomas and they LOVED it. Kai woke up early to pack our snack for the day; four red peppers and a bag of marshmallows–such sweet memories. 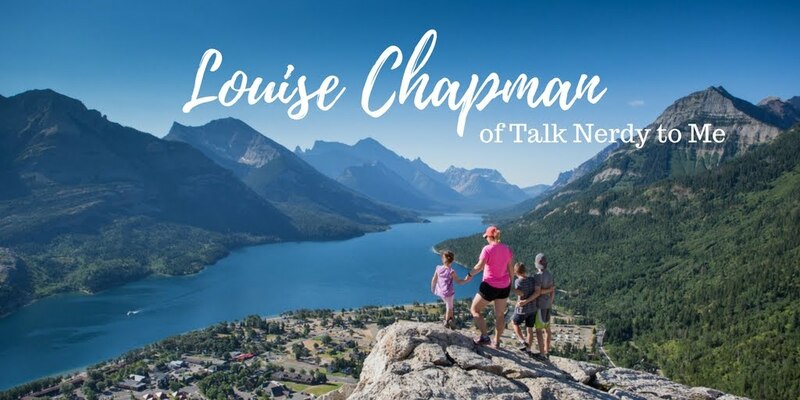 Squamish is just over an hour away from the Lower Mainland and there are beautiful stops along the way which makes the drive enjoyable–be sure to check out Shannon Falls! Many of these activities are indoors which helps if it happens to be a rainy day! The highlight for our kids was riding on Thomas the Tank Engine. 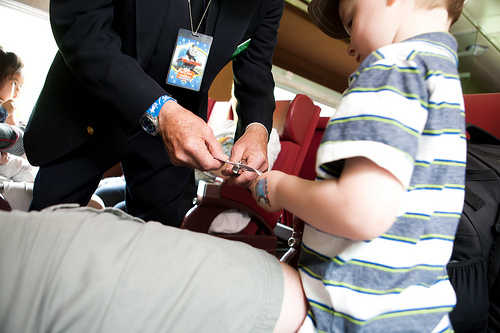 The rides take place at 9:30 am, 10:30 am, 1 pm, 2 pm, 3 pm and 4 pm. The train ride is 25 minutes long and we spent about 2.5 hours exploring the grounds with the other activities when we were there. The kids each received a Jr. Engineer certificate which we still have! 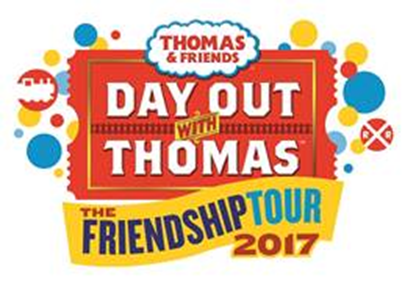 Tickets for the Day out with Thomas–The Friendship Tour 2017 range from $25-30 and for us it was worth it for such a special experience. You can always find out more about the event on their Facebook page and buy tickets here. One lucky Talk Nerdy to Me reader will recieve a Family of Four Pack valued at $165! Just fill out the Rafflecopter below and good luck! Contest ends on Saturday April 29th, 2017. Yay! So fun to see them experience a day like this! I'm sure Ethan will be one day if his uncle has any input as my brother in law loves trains! Oh, he is such a great age for Thomas the Train! So fun! Adam (3 1/2) would be so excited! My three year old is a huge fan! Oh they are a great age for it! Fun! This would be a hit with our family. My kids are Thomas fans (my son just LOVES anything train-related). Harvey would be over the moon to win this experience! 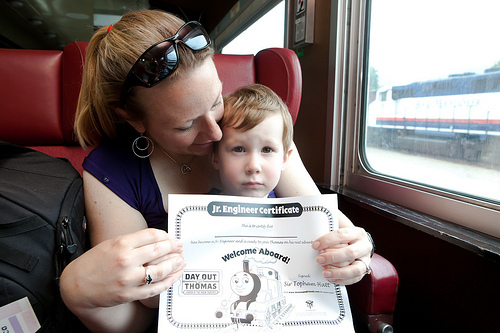 I've entered to win for a friend of mine who has a son who LOVES trains!! I have 2 grandsons who are big Thomas fans! My youngest child is the biggest Thomas the Tank Engine fan in our family! All three of ours would love this! I've heard how awesome it is, I'd love to take them! My grandkids are huge Thomas fans.